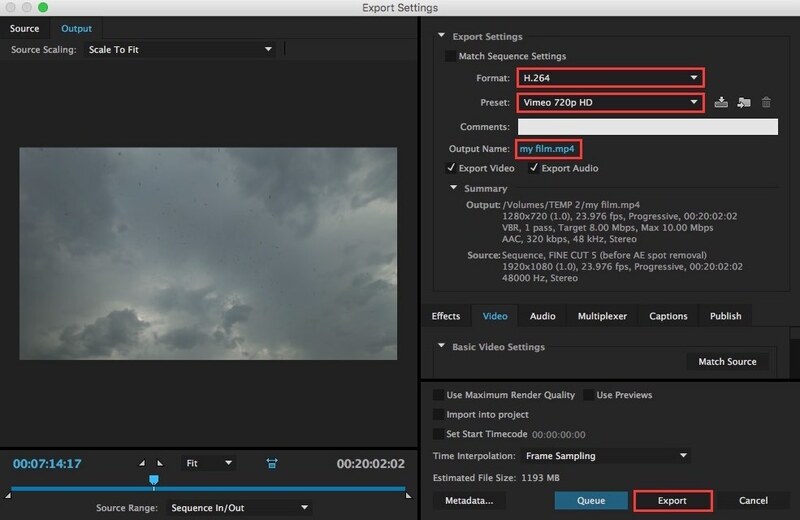 For Preset, choose Vimeo HD 720p. Note that if you want higher resolution 1080p is also acceptable, but will take longer to upload and require more space on some services such as Vimeo. Under Output Name, click on the file name which will prompt you to choose a file name and saving location. 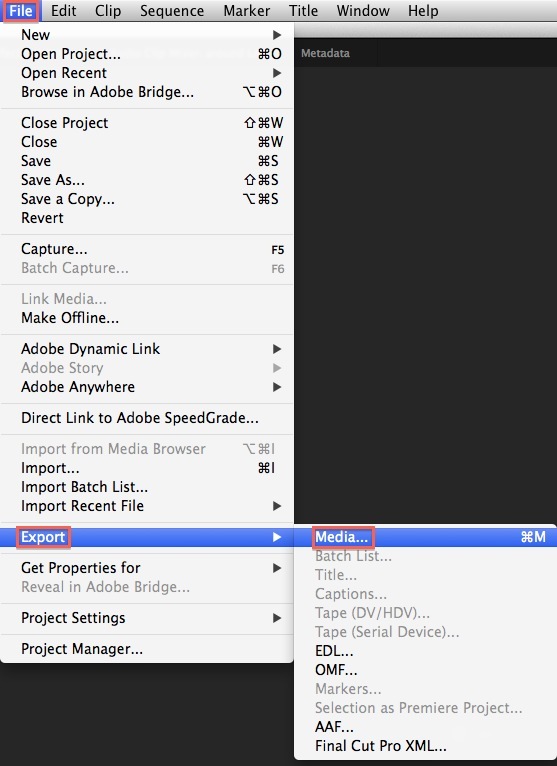 Step 3) Click Export, and you will see a progress dialog appear. When this finishes, your export will be completed.